The veteran independent filmmaker and undisputed king of the B-movie drops in for a chat about his career and the new documentary Exploits of a Hollywood Rebel. Movies as we know them just wouldn’t be the same without Roger Corman. 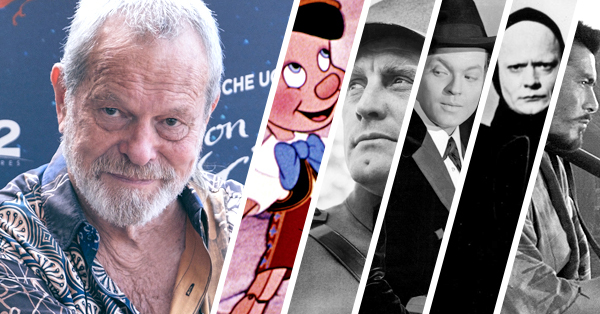 Sure, filmmakers like Francis Ford Coppola, Martin Scorsese, Jonathan Demme, James Cameron and Joe Dante probably would have found their way into the game eventually, but the fact remains that they all got their start under the tutelage of Corman and his low-budget genre factory — a tireless B-picture production line that also gave early breaks to unknown young actors like Robert De Niro, Sylvester Stallone and Jack Nicholson. Perhaps more significantly, Corman was one of the pioneers of the independent movie model, cranking out scores of exploitation and genre films (and distributing foreign titles by Truffaut, Bergman, Fellini and Kurosawa) that turned profits even as they flaunted the traditional studio system. (Not to be discounted: he also directed a handful of genuinely fine movies, like the Edgar Allan Poe adaptation The Masque of the Red Death.) This week, Corman is celebrated in Alex Stapleton’s documentary Corman’s World: Exploits of a Hollywood Rebel, a career-spanning look at his work that gathers together exultant testimonials from many of his most famous pupils. We caught up with Corman earlier this week for a chat about his career and his “graduates,” his thoughts on independent film, and how the Lucas/Spielberg blockbusters spelled doom for genre pictures. First, here are Corman’s five favorite films. 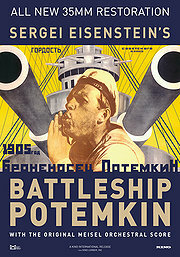 Well, if I were to pick my five favorites I would probably start with Battleship Potemkin, the great Russian silent film. To me, that is the greatest film ever made. It was probably the originator of a number of cutting techniques — the “Odessa steps” sequence, with the baby carriage rolling own the steps at the same time the troops are marching down the steps, is still one of the most powerful montage sequences I’ve ever seen. If I went on to number two, there it becomes more difficult. I would say probably Lawrence of Arabia. I would say simply for the epic scope; the broad expanses and deserts, and then cutting in tight from these giant long shots to Lawrence and the other characters. 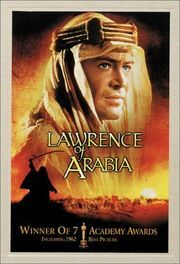 And the power of Peter O’Toole’s performance as Lawrence. 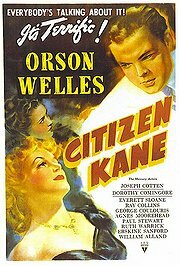 Citizen Kane: So many people would pick that and there isn’t much I could say about it. The photography is extremely good. He was using a lot of low angles, he was using covered sets; and at that time, and still, very few art directors will put a ceiling on a set because it makes it very difficult to light, but he gave it a great feeling of realism. Also, it was a brilliant script. It’s well directed, well acted — Welles himself is brilliant as Kane — and it really stems from the script. Did you ever meet Orson Welles? Then each one becomes more difficult as I go along. 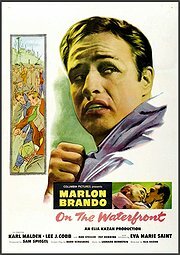 On the Waterfront — you go straight to Marlon Brando. It was a good picture all around, a good script, and Kazan directed it brilliantly. And the shooting on location, I would assume they would have never shot in a studio — the look of the film gives a great sense of realism, that you are there on the waterfront, you’re there in cold weather, you can see the breath coming out of the actors mouths. I would say it’s probably — probably — Marlon’s best performance, although you would have to give a nod to Godfather. 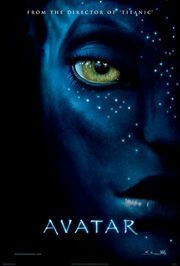 You know, I would pick Jim Cameron’s picture, Avatar, as a fifth. It’s the only new picture, I think, that can be up there in that group. Jim Cameron, one of our graduates — who started making low-budget science fiction pictures for us — went and jumped ahead and here’s Avatar, the most expensive science fiction picture ever made. Jim’s a technical genius, and the fact that he single-handedly brought back 3D — which had been up there, in and out a few times; in the ’50s and then forgotten — and he used it beautifully and sensitively. So many times when a director’s working with 3D you have the shot of the arrow coming out of the screen, shooting straight at the audience, and effects like that; he deliberately stayed away from that type of effect and just showed you the 3D world. And the use of computer graphics, green screen, motion capture and so forth for the blue-skinned people on the planet — I just thought it all came together as a brilliant film, both technically, in the way he used 3D, and in the beauty of the picture itself. 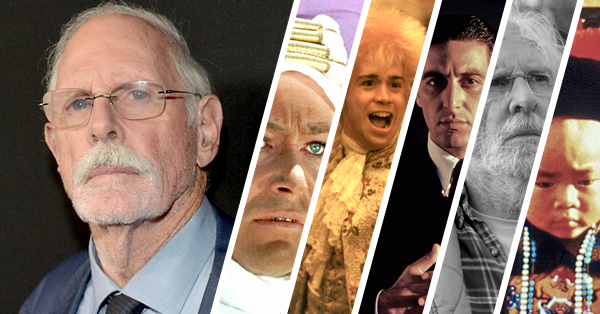 Speaking of your graduates using 3D — have you had a chance to see Martin Scorsese’s Hugo yet? Yes, I saw Hugo and I was very impressed with it. Again, Marty used 3D sensitively and intelligently, and once more he was restrained in the use of 3D. You had a few things coming out toward you, but primarily you became immersed in the story, and Marty filmed a great story. The story of Georges Méliès, the old French director and one of the originators of film, and the story the young boy I thought was beautifully down. I think it’s an excellent film. Next, Corman talks about some of his famous graduates, the state of independent film, and how the Spielberg-Lucas blockbusters spelled doom for his genre movies. 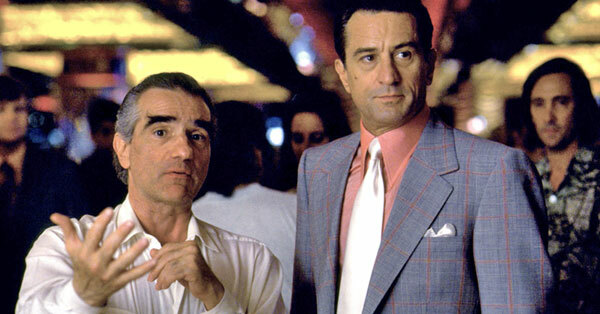 You’ve fostered many future-great directors on your productions; filmmakers like Martin Scorsese and James Cameron. Did you have a sense at the time that they were going on to big things? Roger Corman: I was convinced they were both brilliant and that they would have fine careers, but I had no way of knowing the heights to which they would actually rise. I knew — either knew or believed — they would be successful. I couldn’t predict how successful. Was there anyone who you worked with that went on to surprise you? Well most of them I thought were good, but one who surprised me, and on his very first picture, was Ron Howard. Ron had played the lead in Eat My Dust, a comedy car chase film, and when we did the sequel — because the first one was so successful, we did Grand Theft Auto — he played the lead and he directed. I was a little bit apprehensive about his ability to both act and direct in the same film — and he just showed right there that he could do it. Grand Theft Auto became sort of a B-picture classic, and it showed right there what a fine director Ron was. He would have been quite young at the time, too. Yes. I knew he had gone to the SC film school for a while but he didn’t graduate because he was working so much as an actor; but I knew he had something of a background. So that reassured me. Let’s talk a bit about Corman’s World. Why has it taken so long for someone to make this documentary about you? It feels like there should have been many by now. [Laughs] There was a documentary made in the late 1970s [Roger Corman: Hollywood’s Wild Rebel, 1978], which I thought was a well-made documentary, but I guess nobody thought of doing it again until [director] Alex [Stapleton] came up with the idea. She asked me, and I talked with her a little bit; she’s very intelligent and very sensitive, and she understood a great deal of what I was doing. I was just impressed with her and I said, “Fine, let’s go ahead.” I’m a little bit surprised at the number of people she got to be interviewed for it; it became a bigger picture than I thought. It varies from time to time. For today — of the pictures I produced and directed — maybe The Intruder, which was a picture I did with a new young actor, Bill Shatner, about racial integration, in 1960. And then one of the Poe pictures — maybe Masque of the Red Death. I was working in England and I had greater access to facilities for the construction of the sets. We had the best look of any of the Poe films on Masque. Nicolas Roeg’s photography on that film is incredible. Yes. He was a brilliant young cameraman. I believe he may have won the English equivalent of the Academy Award for best cinematography, which was surprising because it was a very low-budget picture. You haven’t directed since the early ’70s. Did you ever consider going back to it? Well, I had directed so many films that I just decided to take a year off in 1970, and then come back after the traditional sabbatical, but during that time I got bored and I started my own production company, New World. I got so involved in producing — we were making 10, 12 films a year — that I just never got back to directing. As one of the most successful independent producers outside of Hollywood, what’s your opinion of the industry at present? Is it a good time to make independent films? No. These are not good times for independent films. When I first started, and up until around the mid-’90s, every theatrical film I made got a full theatrical release. Starting in the mid-’90s and up through the last 15 years or so, the trend has been growing in which these big-budget tent-pole films, and the normal major studio films, dominate the market to the point where it’s very difficult for medium-budget or low-budget independent films to get a full theatrical release. Every now and then one does break through, but as a generality they do not — and that has taken away part of the pleasure and the satisfaction of making films; but also simply the commercial potential. Without the theatrical distribution we have to depend on DVD, VOD, cable, foreign sales and so forth, and one of the key components there is DVD — and that is slipping. It isn’t slipping as much as some people think, but it is definitely dropping a little bit. Over the past few decades we’ve seen “cult” film sensibilities gradually assimilated into mainstream product. What was it like watching that happen, as someone whose stock in trade was genre and exploitation movies? I think it started with Jaws. When Jaws came out Vincent Canby, the lead critic at The New York Times, said, “What is Jaws but a big-budget Roger Corman film?” He was half-right: it was to a certain extent a big-budget Roger Corman film, but it was also better. 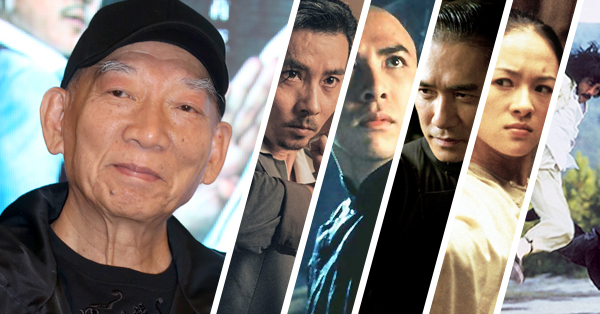 The fact that this bigger and better film had come out, striking right into the heart of the type of film that I and my compatriots were making, started the beginning of the just-slight slippage for us, and difficulty for us at the box-office. When Star Wars came out, I felt the same thing. I felt these two pictures are changing the course of Hollywood, and the ones that are going to be hurt are my compatriots and me. Were there not more low-budget genre opportunities as a result, or did they make it harder? They made it harder, right from the beginning. Particularly in science fiction films: we had very little money to do special effects and the giant special effects — to a certain extent in Jaws but then to a great extent in Star Wars — those special effects were so spectacular that there was no way that we could compete. It wasn’t just that Star Wars had great special effects — it was well written, well directed, well acted; it was just a good all-round picture — but the special effects were so phenomenal. We tried to compete. I raised my budgets a little bit to try and get special effects, which I did, and it enabled us to maintain our presence theatrically for a certain length of time; but we had been damaged. 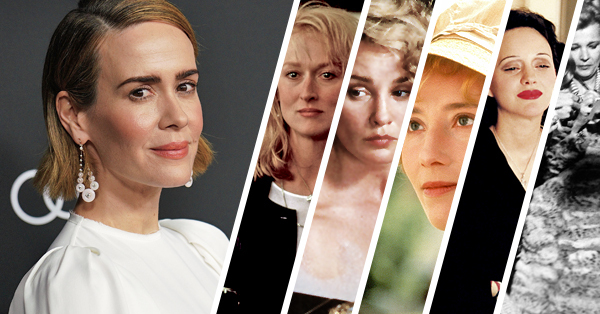 There’s still a healthy legacy from what you achieved, in the films of people like Eli Roth and Quentin Tarantino — to pick just a couple of random examples. Yes. I know Eli and Quentin and we’ve talked about it, and if there is any second or third generation they are the leaders of it — because they’re taking some of the themes and ideas we had, and they’ve got more money to spend so they’re making them bigger. Not bigger to the extent of Avatar or Star Wars or something like that, but big enough so that they can get a very good film — and they’re both extremely talented filmmakers. Finally, you received an honorary Oscar not too long ago. How did that feel, to be venerated by the Hollywood establishment? I don’t know if I would use the word “venerated” [laughs], but anyway — I would say “recognized” — I knew I was up for it , because the Lifetime Achievement Awards are not voted on and announced to peoples’ surprise on the show, they’re voted in advance by the board of governors of the Academy. They tell you that you’re going to get it. I knew I was being considered, and I said, “I have no chance. I make low-budget pictures — they’re not going to give an Academy Award to someone who makes low-budget pictures.” And I was truly surprised — I was gratified. I was pleased. Corman’s World: Exploits of a Hollywood Rebel opens in select theaters this week.